Pack a hamper and gather the troops, ‘cause it’s summertime and that means it’s time for a day in the park! Not sure where to go? Try these spots on for size! 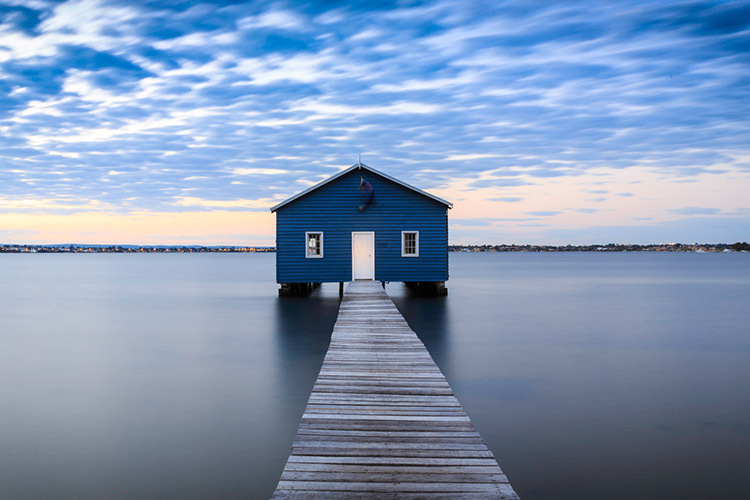 It’s gone through many names in its time, but Matilda Bay has always been that same old lovely grassy spot tucked away between the Swan River, Perth CBD and Kings Park. The views are magnificent, as you can probably imagine, and the place itself is just perfect for a stroll and a packed lunch on the waterside. Lunch may be sorted, but what about dinner? Well, the swanky Matilda Bay Restaurant is the obvious choice. If you’re feeling French, give Chez Pierre a try. 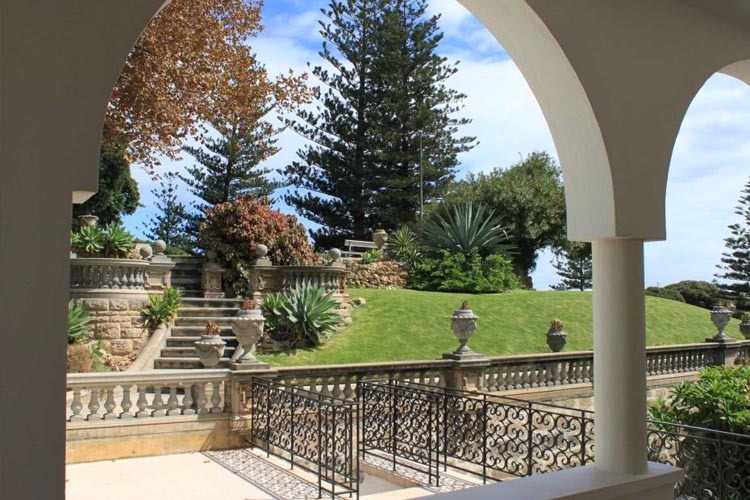 Cottesloe Civic Centre kind of resembles the sprawling villa of some Argentinian movie star (we’ll call her Valentina Castillo), and its grounds are utterly stunning. They’re lush, vibrant and dazzlingly green, and they’re also fully open to the public! Few things in Perth compare to a picnic or a barbie on the Cottesloe Foreshore, so come down and give it a peek. Not in the mood for a picnic or a barbie? Then pop over to Indiana Tea House for a fancy brew and a light meal. This one falls firmly under the category of ‘hidden gem’, but such an oft-used phrase hardly does it justice. 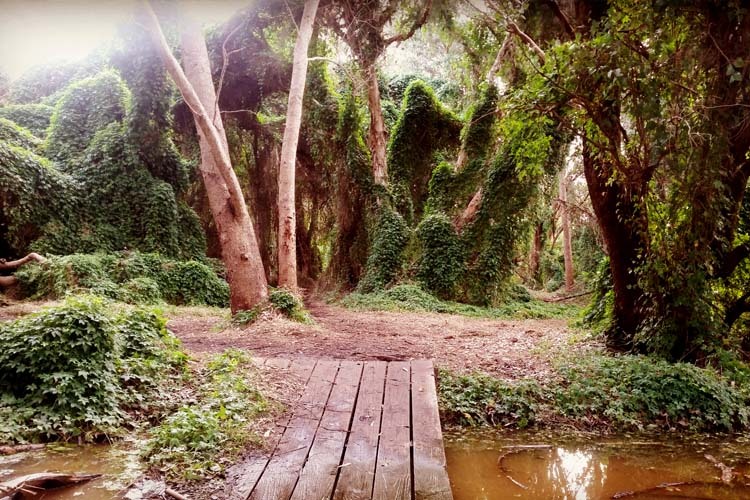 The Careniup Wetlands are positively fairytale-esque – all thick canopies, bright leaves and mysterious tunnels cut into the swampy undergrowth. It’s absolutely beautiful here, and we really can’t stress that enough. The pride of Gwelup, if you ask us. Once you’ve finished frolicking, you’ll probably be pretty hungry. Don’t worry, though, because local legend Kaffeine Cafe & Pizzeria is ready to serve. Why, that last secretive garden getaway went so well that we’re firmly in the mood for another! 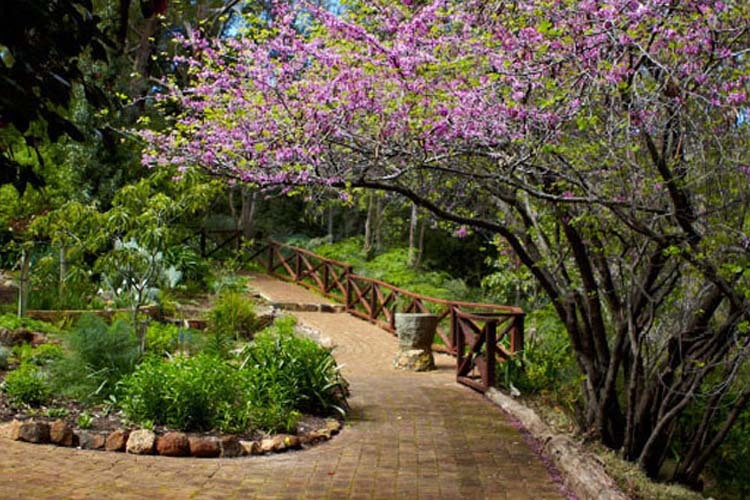 Araluen Botanic Park veers more towards the ‘prim and proper’ side of things, with charming beds of well-maintained flowers and impeccably pruned trees looming over the pathways. The exotic species on display include rhododendrons and camellias, as well as a large range of bulbs. When the caffeine itch strikes, The Roasted Bean Cafe is always a good choice. For a classic Australian bite (and some sweet views), try Roley’s On The Ridge. If you head on down to Cathedral Ave in Brigadoon, you’ll find yourself slap bang in the middle of Bells Rapids. 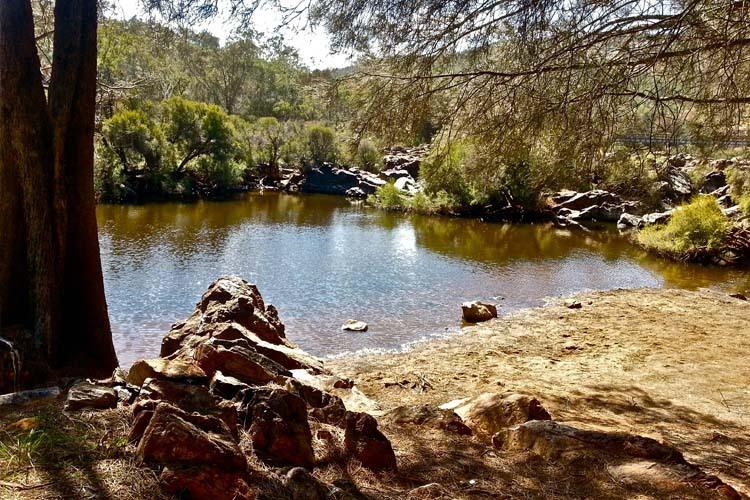 It’s a dramatic stretch of rocky wetland that’s lovely in the summer, and famous for the 5.5km unique Bell’s Rapid circuit walk trail. It passes along the Swan River, and is noted as providing other great vantage points for the annual Avon Descent, especially from the expansive walk bridge. If you’re in the area, you definitely need to check out The House of Honey. It’s exactly what it sounds like, and the folks here produce some of the state’s very best honey.